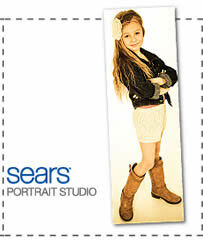 Bring this coupon to your local Sears Portrait Studio to get a FREE 10×30 Spotlight Portrait! ($124.98 value) No session fee. Expires August 31, 2012.